The "Modeling Enterprise Architecture with TOGAF" book brings a practitioners perspective on the enterprise architecture modeling with TOGAF. It shows and explains the examples of the togaf-modeling.org website. You can buy it on Amazon. TOGAF is a framework for EA which provides a comprehensive approach to the design, planning, implementation, and governance of an enterprise information architecture. TOGAF is a registered trademark of The Open Group. Enterprise architecture is widely used within large enterprises, but still has significant ground to cover. The heterogeneous use of enterprise architecture through different methods, tools and models is an undeniable barrier to its generalization. 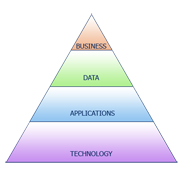 Enterprise architecture (EA) is a rigorous description of the structure of an enterprise, including the business perspective and the information system perspective. "Togaf Modeling" is a collaborative site designed to provide a guide and practical modeling solutions, by selecting different standards that provide an off-the-shelf solution. There is no universal solution, but our aim is to identify a practical solution, through your contributions. TOGAF by itself does not define which modeling language should be used. Given the broad scope of Enterprise Architecture, and the preferences of end users, we propose two options, having the same modeling capacities: "1 - UML + BPMN + EAP Profile" or "2 - ArchiMate + UML & BPMN extensions". Using the richness of UML, coupled to BPMN for business processes modeling, the EAP profile implements the TOGAF metamodel by extending UML. The user sees TOGAF concepts, and uses UML/BPMN capacities to realize his models. 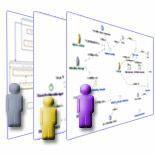 ArchiMate is a standard of the Open Group dedicated to Enterprise Architecture modeling. 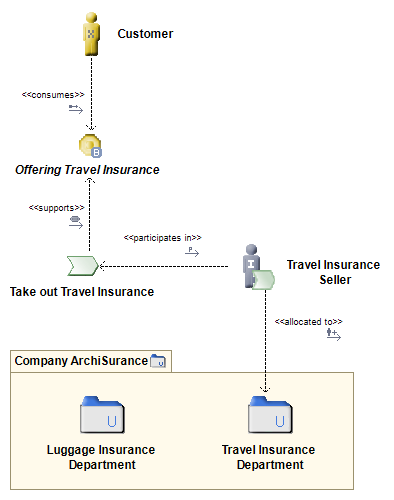 Most TOGAF concepts are supported by ArchiMate. 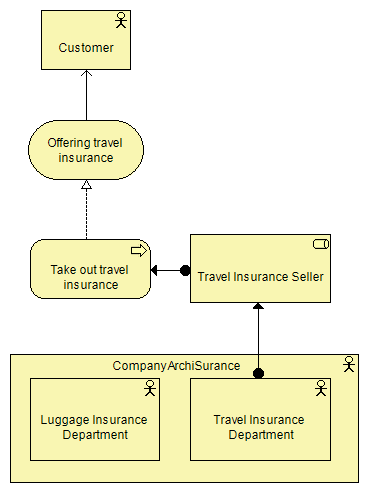 UML and BPMN add detailed modeling capacities to ArchiMate, such as Data modelling, and Business Process modeling. The entire scope of Enterprise Architecture modeling is covered by combining these three standards using modeling tools that support all of them, and provide refinement and traceability mechanisms. Togaf Modeling has implemented its modeling examples using Modelio. There is an open source edition of Modelio, and a more complete commercial edition. Modelio supports UML, BPMN, ArchiMate and provides the EAP profile. Sign in to use the forum and be informed of the latest news. Hi, Togaf Architecture Module in Modelio is a commercial one. Is there any free tool? Copyright © 2011-2019 Togaf-Modeling.org. All rights reserved.